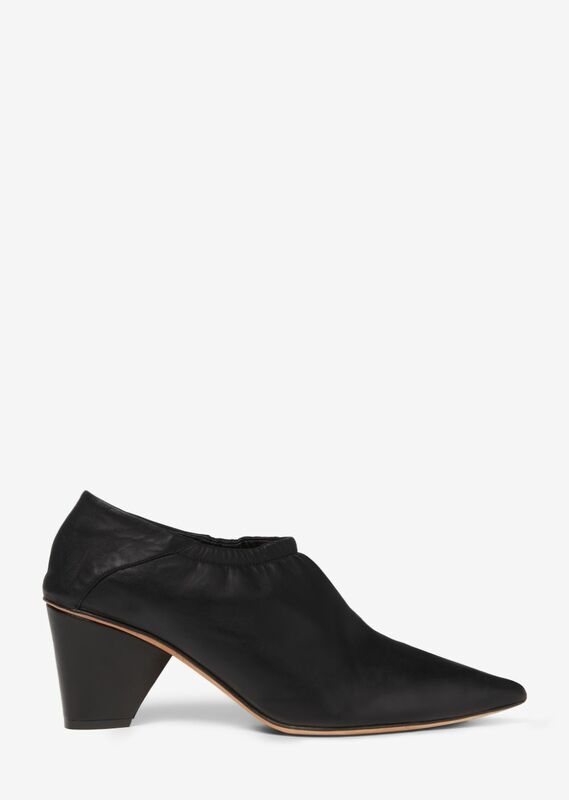 Pointed-toe heeled bootie in black nappa leather with elasticated opening. High-coverage vamp. 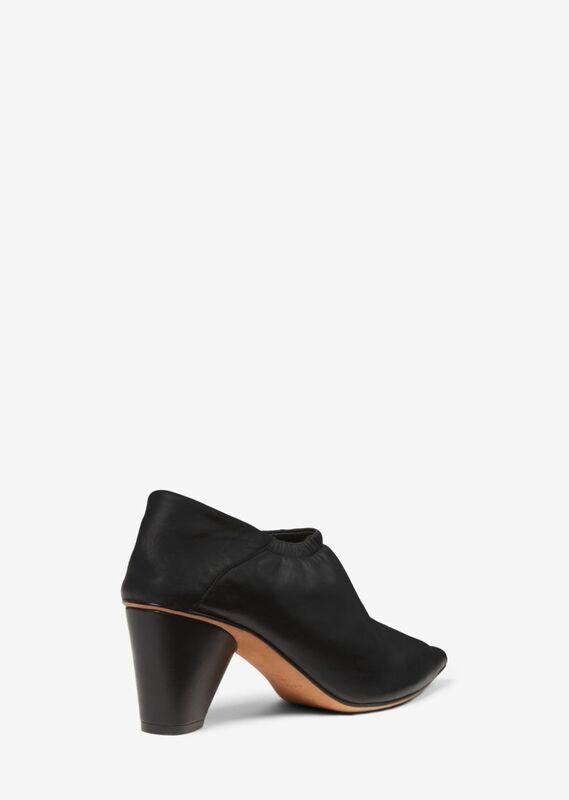 Conical black heel with rubber cap. Natural leather sole. 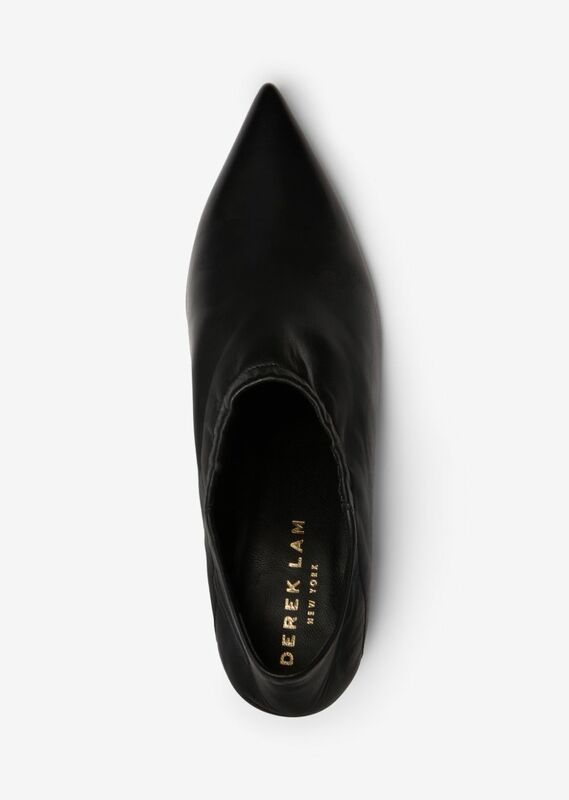 Tonal leather insole and lining.